The Indian American girls, who just received the National Merit Scholarship, talk to the American Bazaar. Identical twins Anisa and Sirina Verma Prasad created history when they became the first Indian Americans to be announced valedictorian and salutatorian at their high school in Newport, Connecticut. But the accolades don’t stop there. The Indian American girls have also just received the National Merit Scholarship. 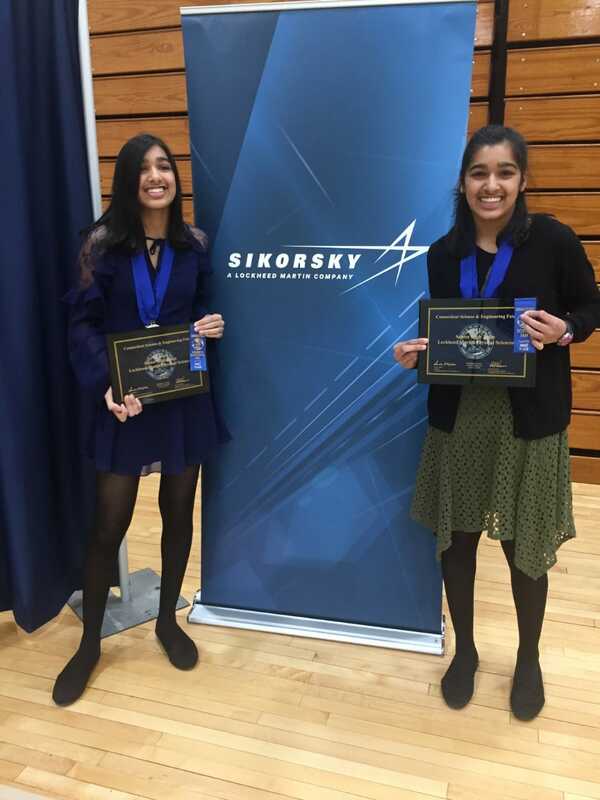 The twins, who both plan on attending Harvard this fall, talk to American Bazaar on being the first Indian Americans to secure top slots together, loving their Indian roots and inspiring more girls to take up STEM. Tell us more about securing the top slots of valedictorian and salutatorian. Did you both see it coming? Sirina: I didn’t walk into high school with the goal of becoming valedictorian, so no, I didn’t really see it coming. I came in with a different attitude: I wanted to try my best to learn everything I could in my classes. And that’s what I did. I wasn’t expecting this, though–there are so many absolutely brilliant people in our class. Anisa: Neither of us saw it coming – we were very surprised. There are so many brilliant, talented people in our year, and we never expected it. Are there any other sister pairs that inspire you? In sports, entertainment, lifestyle or in any other arena? Sirina: We weren’t really inspired by any other sister pairs–we were really inspired by each other. Anisa is incredibly talented, motivated and joyful–I couldn’t imagine a world without her. We’re both passionate about the same things: STEM, the environment, research. But we’re not competitive. We push each other and challenge each other and inspire each other. Anisa: I would say, Sirina makes me better as both a student and a person. There has been a lot of emphasis lately on how more girls in America should opt for STEM related courses. Do you feel that less girls look at science and maths as subjects of interest? Sirina: Yes, I think fewer girls aspire to be scientists and mathematicians right now, but that’s changing. The numbers for women in STEM fields are steadily increasing, and it’s promising–I’m hopeful for the future. Anisa: In the past, definitely. But recently, I think that girls have been catching up. I know a lot of girls interested in STEM fields, and they’re very, very good at it! I think this is great, because as a girl in STEM, I’ve definitely seen residues of how people tend to assume that girls are automatically inferior. Fortunately, I haven’t encountered it nearly as often as girls used to, my school district and my family have been very supportive. You have a lot coming up. Tell us about your upcoming contests and how you all are preparing for it? Sirina: We’re going to the Intel International Science and Engineering Fair (ISEF) in May. We’re very excited to present our research on solar cells! But it also means a lot of preparation–the judges are not going to go easy on us. We need to know our research project inside and out, and be able to answer any questions they ask. Anisa: We’re so excited for everything that’s coming up! We’re part of the economics team at Staples and competed in the Fed Challenge earlier this month. We made it to semi-finals, which will take place in April. Now, we have to prepare another presentation on the state of the economy and give the Federal Reserve an interest rate recommendation for the rest of its meetings this year. We also will have to prepare for questioning by the judges on general economics topics. We can’t wait to see how it goes! We’re also going to Arizona in May to compete at the Intel International Science and Engineering Fair (ISEF). We’re super excited for that! Our research is in the Energy: Physical category. We have to design and print a poster and prepare a short summary of our research, so that when the judges come to our poster we can tell them about it. ISEF has so many fun activities for people interested in science – I can’t wait to learn about all of the research and projects there! When are your speeches at the Staples scheduled for and is any one helping you with those? Sirina: I’ll give my speech at graduation at Staples High School. To prepare, I’ve been thinking about what has been important to me during my high school years and how I’ll use my skills going forward. I haven’t yet started writing my speech. I’m so nervous! Anisa: My speech is scheduled for the night before graduation, at baccalaureate. I haven’t currently started it, but I’ve thought a little bit about what I might say. I realize it’s a big honor but it’s a bit daunting for me. I haven’t asked anyone to help me with it yet, but I might ask a few people for feedback. Do you feel that young girls like you are inspiring other Indian girls to take up science and mathematics? How has been the response to your news been like? Sirina: I hope we’re inspiring others – not necessarily to go into STEM, per se, but to work hard in the field they love. Everyone has been so supportive of my sister and I. I appreciate them so much. They’re all so kind and very happy for us. Anisa: I do. I’ve definitely been inspired by other girls that have succeeded in STEM. Every time I learn of their successes, I think, “I want to be like her.” It’s important for young girls to have role models, people they can aspire to be–that’s why this is so important. Everyone has been really excited for us. It’s been incredible. I’m so grateful for everyone that has supported me and my sister along the way–we couldn’t have done it without them. Tell us about your family and Indian roots. Sirina: I was born in America, and then moved to London for a bit; my father is British Indian. But then I moved back to America for 1st grade and have been here ever since. Although I’ve never lived in India, I’ve visited many times. A lot of my family lives there, we’re from Northern India. And even though I’m in America and surrounded by American culture, my family always celebrates Indian holidays like Diwali and Holi. My Indian roots are an important part of my identity. Anisa: My sister and I were born in California, and then we moved to London. My dad is a British citizen and grew up in the U.K. We stayed there for 6 years (I love the British candies!) before moving to Westport the summer before first grade. My family consists of me, my sister, our younger brother, our father, and our mother. We’re from Northern India. I love celebrating our holidays – for Holi we throw colors, for Diwali my mom makes a ton of food and we light sparklers. Our maternal grandparents came to the U.S. in the 1960s (my Nana came here for higher education), and have been here ever since. Our paternal grandparents live in New Delhi. We try to visit them as often as we can.